The Women's March is a national movement to unify and empower everyone who stands for human rights, civil liberties, and social justice for all. Why should I show up? The theme of this year’s Women’s March and Rally is #TruthToPower. Who better to speak truth to power than the members and allies of the Young Women’s Freedom Coalition? Jessica wants as many of us on stage with her as possible. She wants the crowd to see us standing together, as a sisterhood. She wants the crowd to see our full power and resilience. When you show up as a Center Sister, you will be participating in the radical act of moving our stories from the margins to the center of this conversation. When you show up, you will be speaking #TruthToPower. When you show up as an Ally, you are honoring the importance of centering us in this movement. You are engaging your powers of love, empathy, witness, and courage in the fight for freedom. When you show up, you are insisting that your own freedom is inextricably linked to the freedom of all other women. When you show up, you are activating a #WomensWave where no one is left behind. How do I show up? Take a look at the map below. Find the #9 in the yellow heart. This is the Volunteer Check-in station - it’s basically right in front of City Hall on the Polk St. side. This is where we will all gather between 10:30 and 11:00am. This is Julia Arroyo. She is our Program Director of Youth Re-entry. Look for her. She is the point person. If you can’t find her or any of the rest of us, text Julia at 415-618-9124. If you are already a member of our Sister Warriors Freedom Coalition and have a t-shirt, please wear it. If you are not yet a member and/or don’t have a t-shirt, we will hook you up with one. Jessica will be speaking some time between 11:30am and 1:30pm. We will make sure to have plenty of snacks to take care of you. What about the march itself? 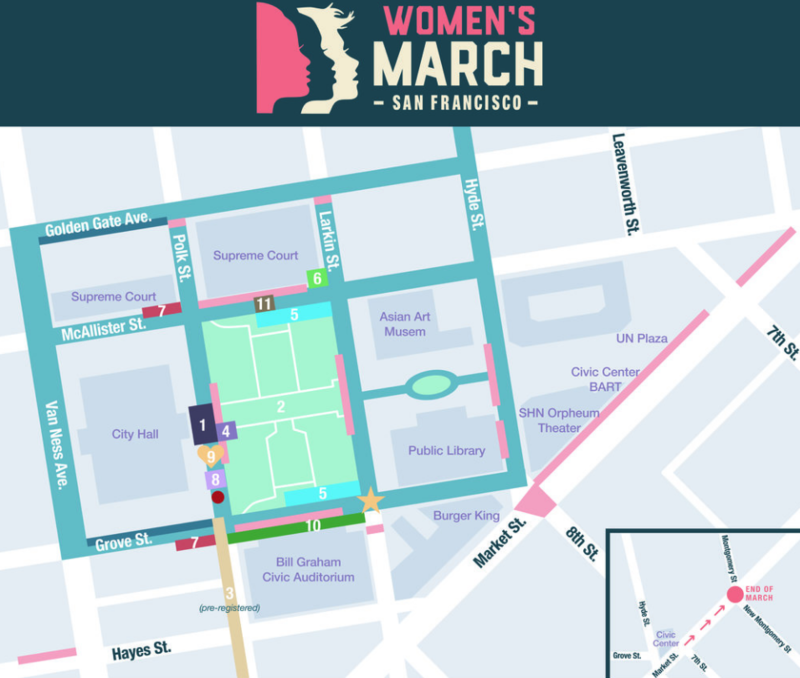 After the rally, folks will be marching from Civic Center, down Market Street, to Montgomery. At this time, we have no plans to join the actual march itself but that may change. I’m not sure I can make it but I want to show my support. What do I do? Click here, give us your info, and we will let you know what you missed and what will happen next. I came to the Young Women’s Freedom Center (YWFC) because of my experience in the system and underground street economy. My sister/siblings loved me up until I recognized my own personal power. They created a pathway to freedom. I am committed to the decriminalization of trans, cis women, girls, and gender non-conforming young people. I believe that every young person should live free from violence and systemic oppression. I’m here to dismantle those systems even if it’s brick by brick. Let's help our folks inside connect with their loved ones and meet their basic needs. 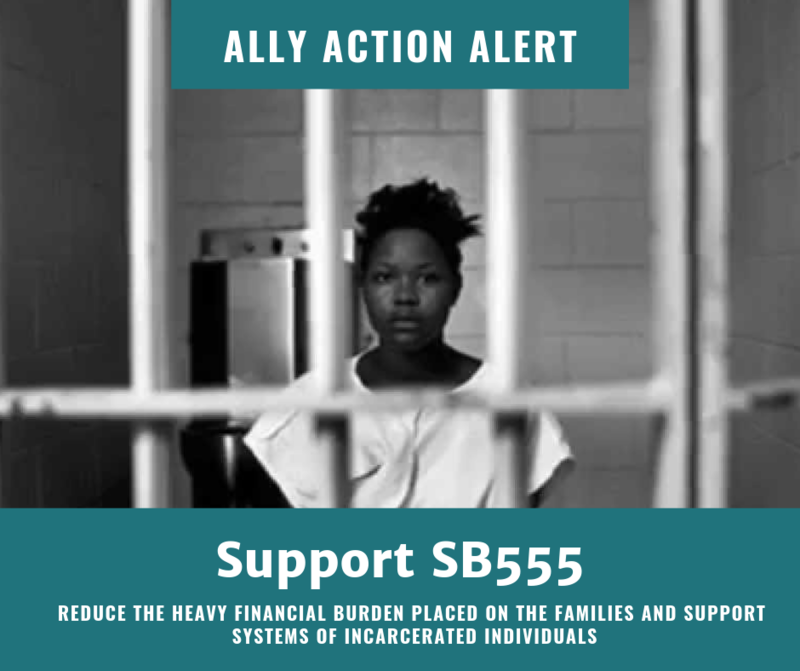 SB 555 will reduce the heavy financial burden placed on the families and support systems of incarcerated individuals. 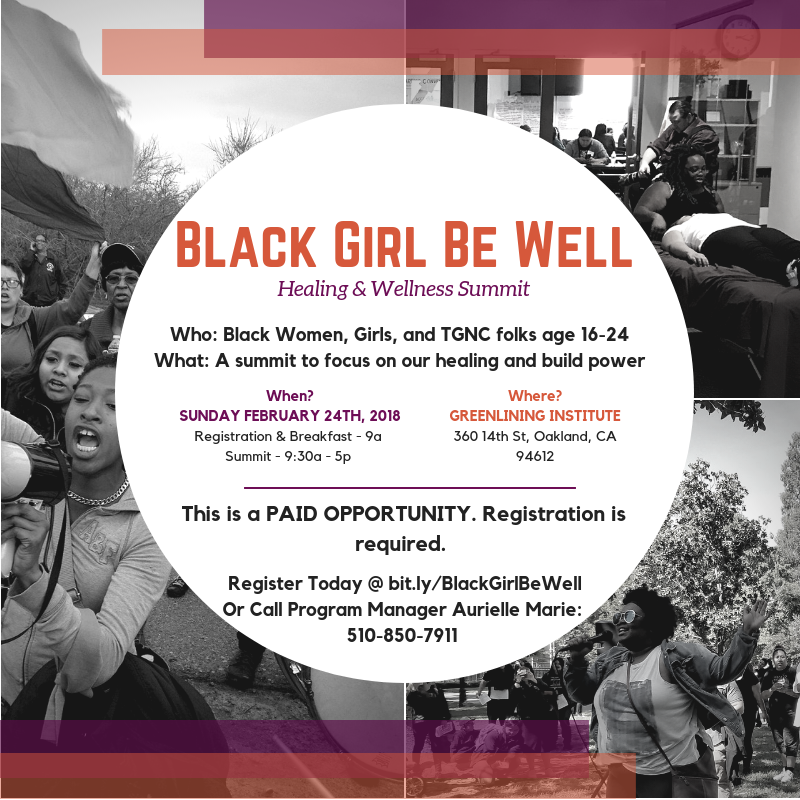 This Sunday, February 24th, YWFC is hosting Black Girl Be Well Healing & Wellness Retreat. 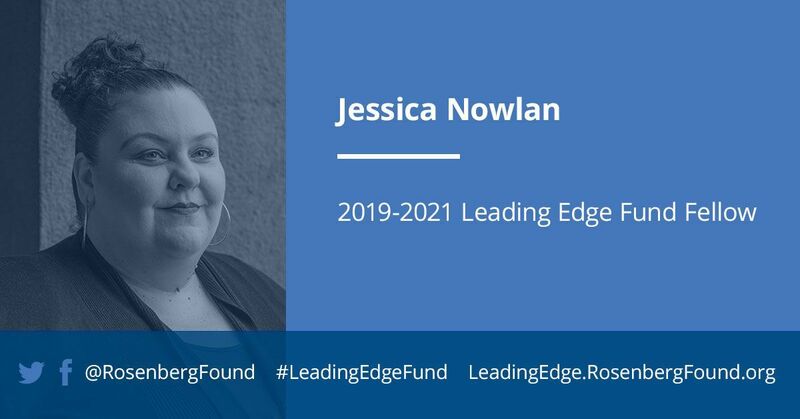 We are excited to announce that, Jessica Nowlan, Young Women's Freedom Center’s Executive Director, has been selected as a 2019-2021 Leading Edge Fund fellow. Jessica will join eight other bold leaders who are building movements to fundamentally change the odds for, and with, the most disenfranchised Californians.